These part-time jobs can fit into your busy school and social schedules. See if you’d like to give one of this gigs the old college try. Part-time jobs for college students are almost as coveted as college acceptance letters. Besides searching for classes, college students are just as eager to look for jobs. That's because many students need to find jobs to support themselves or pay for their studies. Find part-time animal care jobs on Monster. Find part-time babysitter jobs on Monster. Find part-time bank teller jobs on Monster. 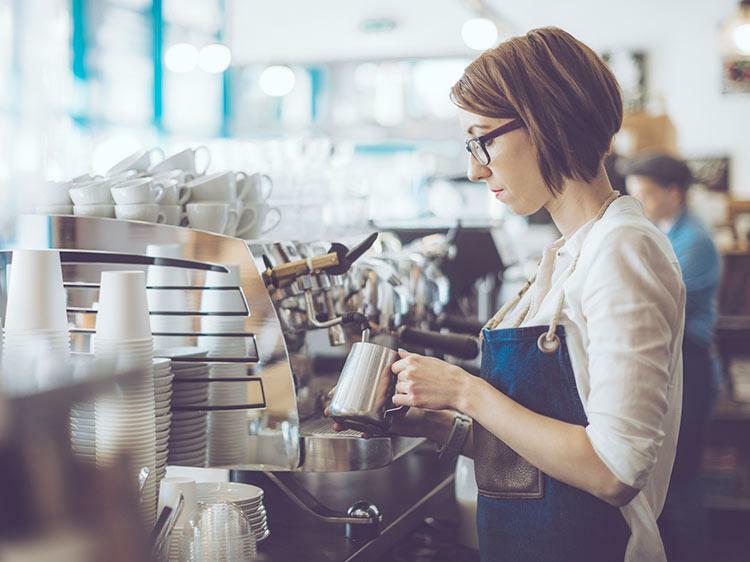 Find part-time barista jobs on Monster. Find part-time bartender jobs on Monster. Find part-time bookkeeper jobs on Monster. Find part-time brand ambassador job on Monster. Find part-time cashier jobs on Monster. What you’d do: You probably rely on drivers to get a safe ride home after a night of partying, but you could always try your hand DD-ing and get a job as a driver. Find part-time driver jobs on Monster. Find part-time fitness trainer jobs on Monster. Find part-time IT support jobs on Monster. Find part-time line cook jobs on Monster. What you’d do: If you’re hoping to land a job in health care after graduation, working in a hospital or senior living center as an undergrad should give you an edge. Nursing assistants typically report to registered nurses, and aide in tasks like cleaning, feeding, and transporting patients. Find part-time nursing assistant jobs on Monster. Find part-time restaurant server jobs on Monster. What you’d do: Working in retail, you assist customers with their shopping needs and set up store merchandise. You also might even be able to get employee discounts or earn commission. Find part-time retail sales associate jobs on Monster. Find part-time security guard jobs on Monster. Find part-time social media assistant jobs on Monster. What you’d do: Plenty of companies and nonprofit organizations—even your school’s alumni association—need people to make phone calls to sell products, conduct surveys, or ask for donations, usually in the evenings when you’re out of class. Find part-time telemarketer jobs on Monster. Find part-time tutor jobs on Monster. What you’d do: Writing jobs can be pay-per-post gigs, so you can write as much as your schedule allows. You could get assignments writing articles about subjects like fashion, sports, health, and fitness for magazines, websites, and other publications. Find part-time writer jobs on Monster. Landing a part-time job while completing your degree is no easy feat. You've got plenty of assignments on your plate, so a job search is likely making your eyes roll. Want some help? Join Monster for free today. As a member, you can upload up to five versions of your cover letter and resume—each tailored to different types of jobs that interest you. Recruiters search Monster every day looking to fill top jobs with qualified candidates, just like you. Additionally, you can get job alerts sent to your inbox as soon as positions become available. Sadly, we can't help you with finals—that's all you.